Some ghosts in bottles from Carmen. Jaromir has sent a ghost inside the bottle. 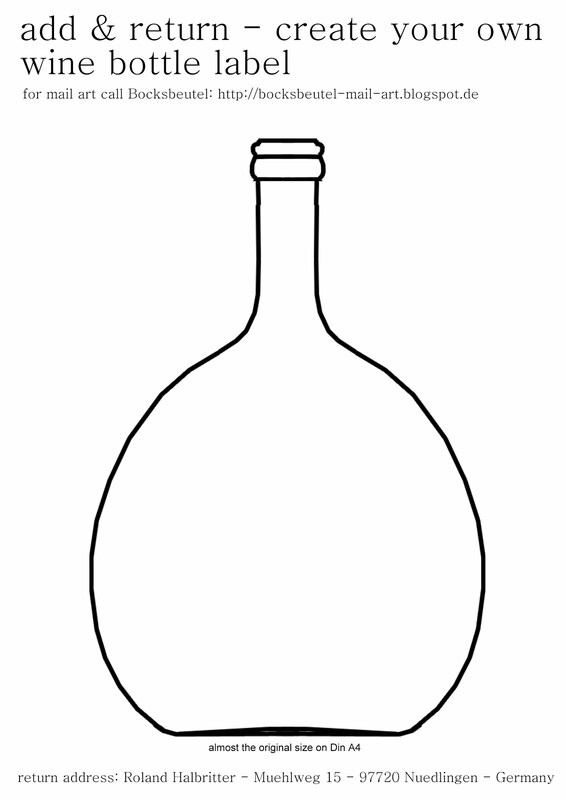 Patricia has drawn a crowned bottle. Two collages with bottle designs. with the sory of the little "Briefmaus". much to the delight of Sigmund Freud. Lutz has sent a dada collage. A new design filled with fish & chips. Piet's latest sending with a red Bocksbeutel. A new collage from Nicole, in a cellar with Bocksbeutel. Wilhelm sent a print with drawings. Three Jokers coming out of Bocksbeutels. A watercolur with some Bocksbeutel designs.